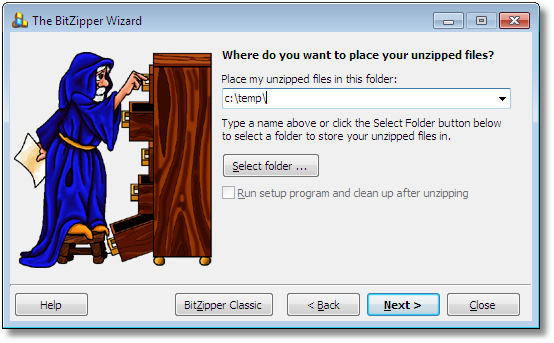 Unzip as easy as 1-2-3! 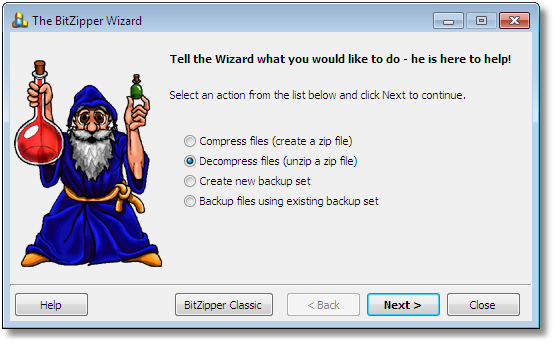 BitZipper comes with a simple 'Wizard' interface which is extremely easy to use. Working with ZIP files is now as easy as 1-2-3! 1. Select 'Decompress files' and click Next. 2. Enter the name of your ZIP file and click Next. 3. Select where to place your decompressed files and click Next. 5. Done! Click Explore to see your decompressed (unzipped) files.